VR Video & Broadcast Platform ‘NextVR’ Finally Comes to Vive. NextVR has launched their app for the Vive via Viveport after being available for other platforms. The app is also soon to launch on the Oculus Rift. The company’s app has been available on mobile VR platforms like Gear VR and Daydream for quite some time, as well as PSVR and Windows VR. In F8 2018 conference where Facebook launched its first standalone VR headset, Oculus Go, and also NextVR announced a new partnership with Oculus to bring live VR events to Oculus Venues. NextVR offering some of the highest quality and best produced made-for-VR video content. Also, NextVR has partnerships with the NBA, NHL, NFL, and entertainment companies such as the WWE, The company’s roster of most sports and event-based video content to Vive users like the recently released NBA highlight. According to RoadtoVR, The Rift isn’t far behind either, and details on a Steam release are expected soon as well. The NextVR app is now available on Vive, Windows VR, Gear VR, Oculus Go, Daydream, PSVR and Viveport. 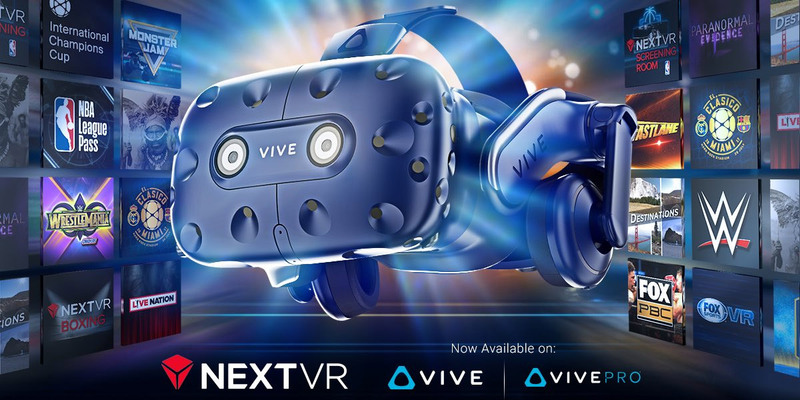 Don't forget to share this post with your friends having Vive.